The French outfit, double teams' and drivers' champions in 2013, is very pleased that its title winner has moved up to Formula 1 as Kevin Magnussen has been given a seat at McLaren in 2014. 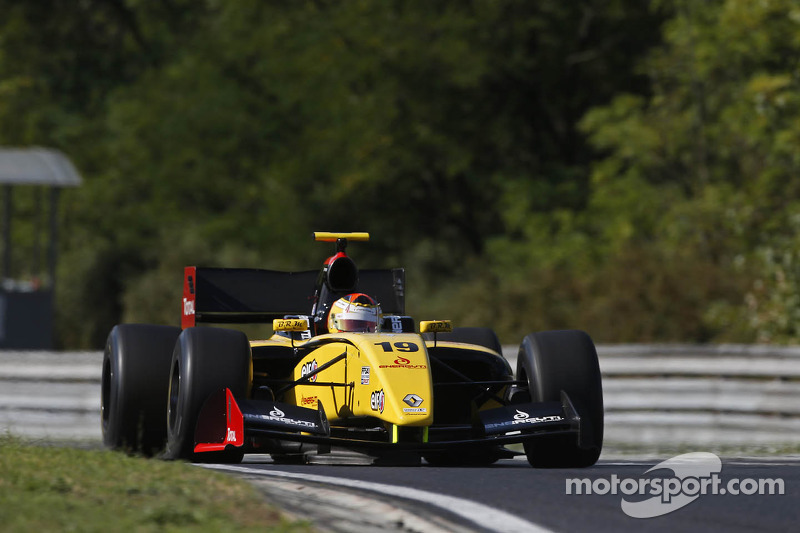 DAMS made its comeback to the World Series in 2012 and wasted no time in becoming a benchmark in the FR 3.5, which it intends to stay in the future. With this aim in mind, it has chosen a driver line-up for 2014 combining talent, dash and already quite a lot of experience with Norman Nato and Carlos Sainz Jr. Unlike his illustrious father, double world rally champion, Sainz Jr has chosen circuit racing to express what is obviously inherited talent. He was born on 1st September 1994 in Madrid and his first taste of karts came when he was seven years old. He began racing karts at the age of ten and won several titles before attacking single-seaters. 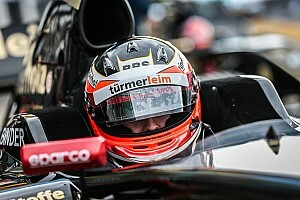 In 2010, the hungry Spaniard, who was determined to make his name straight away, racked up the kilometers in Formula BMW Europe (best rookie), as well as Formula Renault 2.0 and the F3 Open Championship. In 2011, he came second in the Formula Renault Eurocup. The following year he raced in the British (6th) and Euro Series (9th) Formula 3 Championships. This year he competed in both the GP3 and Formula Renault 3.5 Championships. Sainz confirmed his out-and-out speed during the final tests at the end of November at Motorland Aragon by setting the second-fastest time with DAMS, all sessions combined. He is part of the Red Bull Junior Team Program, and at the age of nineteen, he is on the verge of a great career. The young Spaniard's team-mate is Norman Nato in whom DAMS has renewed its confidence after his very promising first season in Formula Renault 3.5. The 21-year-old Frenchman had his ups and downs in his learning year, but Lady Luck seldom smiled on him. The whole team is convinced that he's got the potential, and the experience Norman gathered in 2013 should enable him to blossom next year. Spurred on by such a quick team-mate as Carlos Sainz Jr he will be fighting at the front. Jean-Paul Driot: "After a superb season crowned with success, DAMS is determined to retain its titles in 2014. That's why I'm delighted to welcome Carlos Sainz Jr whose out-and-out speed and professionalism are very impressive. At the same time last year I said to myself concerning Kevin Magnussen, 'Blood will out!' I can only say the same thing about Carlos and I hope he'll follow the same path in 2014. I'm also delighted that we've hung on to Norman. The team really wanted this as there's no doubting his talent. He and Carlos will make a formidable, complementary duo!" Norman Nato: "I'm really happy to be continuing my collaboration with DAMS for my second season in Formula Renault 3.5. I also appreciate the fact that I'll have Carlos Sainz Jr at my side as he's already proved himself in F3, GP3 and FR 3.5 as well as having had very good tests in GP2 and F1! This package should help me achieve my aim, namely: to play a leading role in 2014. It's a really great challenge which I'm about to take up full of determination." Carlos Sainz Jr: "I am very happy to confirm that I will be racing with DAMS next year. It will be a great challenge and I can't wait for it to get started. Since the first test I did with them last year I sensed there was a great feeling between us and I have always wanted to be part of this team. I have to thank Red Bull for another year as well as Cepsa for the confidence they are putting in me."